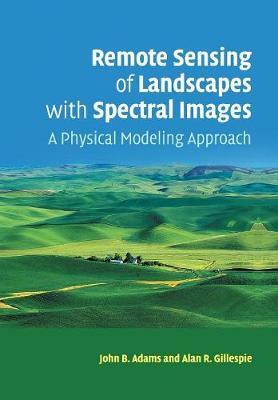 Author(s) Adams, John B.; Gillespie, Alan R.
Remote Sensing of Landscapes with Spectral Images describes how to process and interpret spectral images using physical models to bridge the gap between the engineering and theoretical sides of remote-sensing and the world that we encounter when we venture outdoors. The emphasis is on the practical use of images rather than on theory and mathematical derivations. Examples are drawn from a variety of landscapes and interpretations are tested against the reality seen on the ground. The reader is led through analysis of real images (using figures and explanations); the examples are chosen to illustrate important aspects of the analytic framework. This textbook will form a valuable reference for graduate students and professionals in a variety of disciplines including ecology, forestry, geology, geography, urban planning, archaeology and civil engineering. It is supplemented by a website hosting digital colour versions of figures in the book as well as ancillary images: www.cambridge.org/9780521662214.